These days it seems the majority of videographers deliver to their couples highlight video’s ranging from 5 to 20 mins as their final product. Because of this, we receive requests for our raw footage from time to time. As wedding videographers, we feel obligated to deliver a wedding video that covers your wedding day in full, as we feel that is what our couples are looking for and requesting. 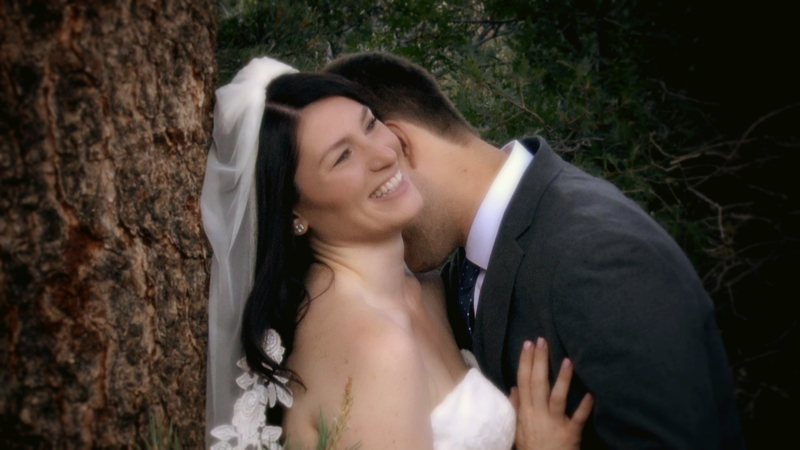 Our completed wedding videos run an average of 75 to 90 mins in length. We understand that when a completed and delivered video only runs less than 20 mins or so, there has obviously been a lot of footage removed, which is why raw footage may be requested. 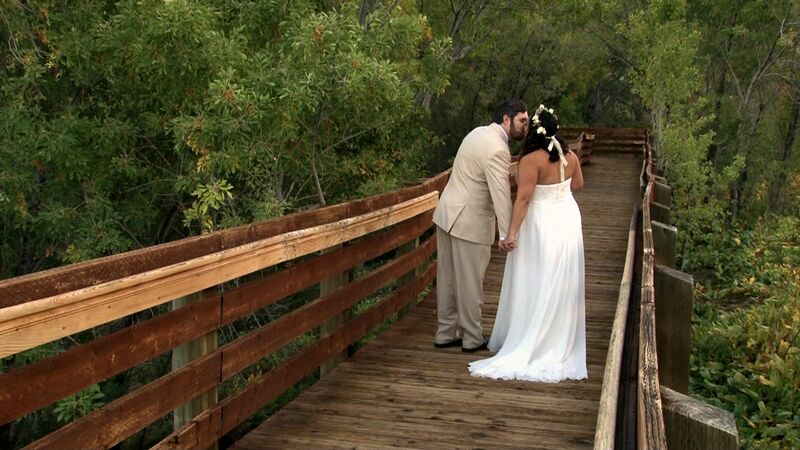 Our wedding videos are shot and edited in such a way that raw footage is not necessary. 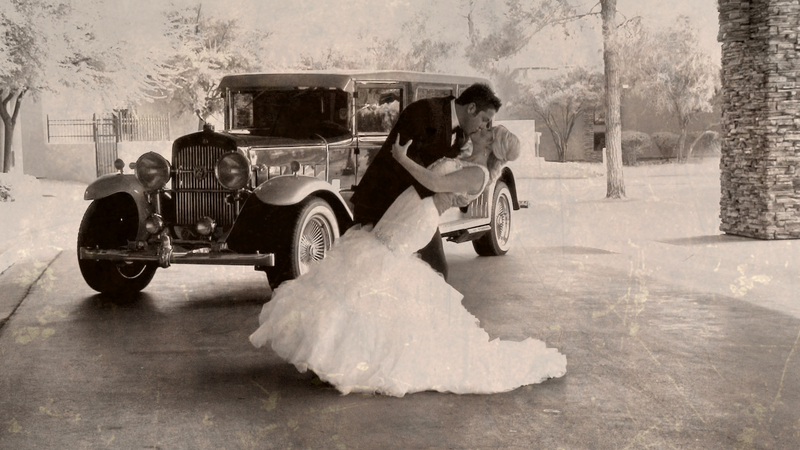 We use all usable footage to tell the story of your wedding day. We include the ceremony, first dance, specialty dances, cake cutting, bouquet and garter toss, etc…, in their full length in the final edit. Below is a link to a video showing the comparison of a Final Edit and the raw footage it was culled from. This footage is from the pre-ceremony segment of Sara and Jeff’s Wedding Video. As you can see, nothing of importance was left out that took away from the final edit. In fact, the raw footage without any color correction, color grading, added filters, and corrected audio, make for a less pleasing video to watch. Let us know if you have any comments or questions about this video. On the fence about whether you should get a wedding video or not? Did you know that one of the biggest regrets brides have after their wedding day is that they didn’t get a wedding video. You’ve probably read all the pros and cons about wedding videos, but here are the two most overlooked reasons as to why having a videographer on your wedding day is more important than you think. 1. After months and months of planning, your wedding day finally arrives, and it goes by in a flash. There is so much of your wedding day that you forget or never see. The pre-ceremony prep, your vows, the ceremony itself, the reception, all go by so fast you hardly have time to take it in. What makes a wedding video so different from wedding photographs, is that you get to see and hear everything that you missed or forgot. Ask a friend or family member who were recently married… ask what they remember about their ceremony….their reception. Chances are, a lot less than you would think. A wedding video brings it all back, and then some, and let’s you relive your wedding day over and over again. 2. You always hear from people older than you how fast the years fly by. Well, in this case they’re right. Ask a friend or family member who is celebrating their 5th, 10th, or 20th wedding anniversary, and they will tell you they can’t believe how fast the years have gone by. How long has it been since you graduated from high school or college? 10 year reunion coming up? Went by quick didn’t it. With a wedding video, you can go back and relive your wedding day like it was yesterday. With the HD quality of today’s cameras, you’ll experience it as if it were yesterday. Do your parents have a wedding video? Do you wish they did? Can you imagine your kids watching grandma and grandpa getting married? Do you wish you could see your grandparents wedding ceremony? How young everyone looked? 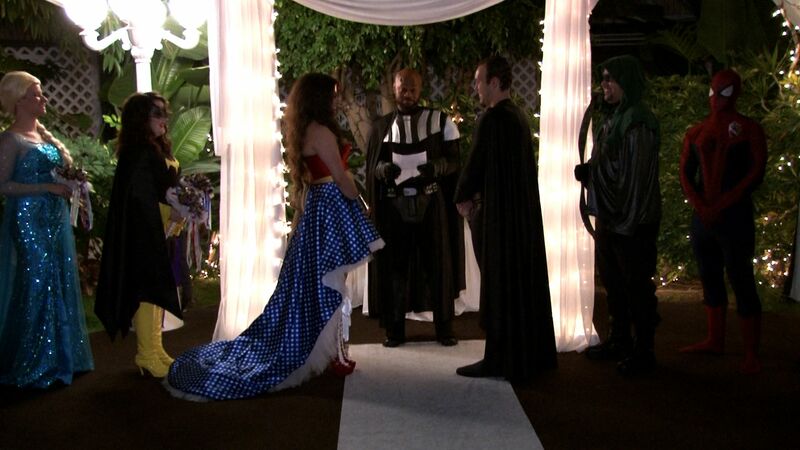 A wedding video is not only for you, but for your family and future generations to come. All our videos are shot in Cinematic Documentary style. We present your wedding day as it happens. All the main parts of your wedding day are shown in their entirety. Your ceremony, your first dance, your dance with your parents, cake cutting, toasts, and your bouquet and garter toss. All there for you to experience at anytime. Wedding Videos are great to watch on your wedding anniversaries. It brings back all the reasons why you fell in love and got married. If you are getting married this year and are considering a Wedding Video, here are a just a few tips for a better video (and photos). 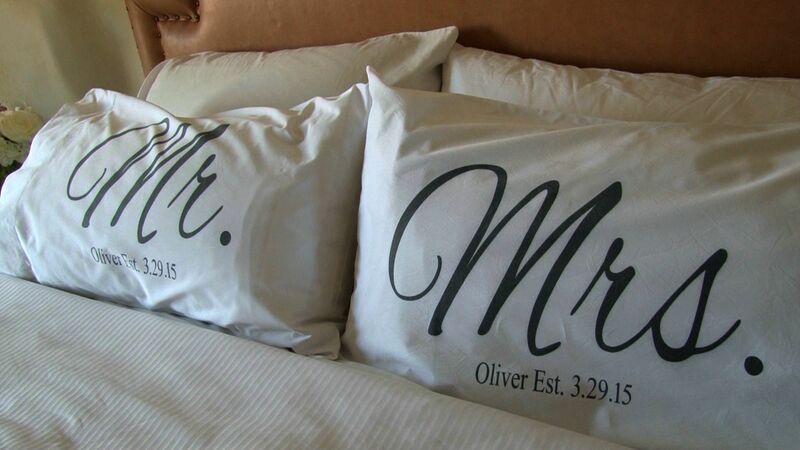 If you are having the videographer and photographer come to your room for some pre-ceremony footage, you can save some time if you have the items for detail shots ready to go. This includes your dress, shoes, rings, jewelry, and any other items you would like photographed or included in your video. As for the video itself, if you have music playing in the room, have it turned down or off. We like to add music to your pre-ceremony footage, but we also like to include the natural room sounds (conversations, laughter, etc…), so if there is music playing in the background, this will compete with the added music, and having two songs playing at the same time does not make for good audio. Have an “unplugged” wedding ceremony. Ask your guests to put away their phones, cameras, and IPads. Shots can be compromised with guests unintentionally getting in the way of or blocking a camera while taking a picture for themselves. We’ve experienced processional and recessional shots unintentionally ruined because some guests have positioned themselves in the aisle to get a picture or video for themselves using their phones/cameras/ IPads and have inadvertanly blocked some of our shots. This can also end up disrupting the flow of the ceremony. You can have your officiant make an announcement before the ceremony for all your guests to put away their phones, cameras, etc…., and that there are photographers and videographers there to get the best photos and video possible for the couple. This also lets your guests enjoy the ceremony and enjoy being in the moment. When having your Toasts at your reception, whenever possible, position the “toaster” next to or behind you at your table. This is so we can include everyone in the shot. If the “toaster” is standing away from you, such as on the dance floor away from you or at their own table, then we aren’t able to capture reaction shots of you during the toast and are only able to capture the “toaster”. Having everyone in the shot is the most ideal way of shooting your toasts. Do your best to not pay attention to the videographer and/or photographer’s presence while we are shooting. It’s a little harder than it sounds, but since our goal is to video/photograph candid moments as they happen, it makes for better shots if you aren’t always aware of the cameras, and it will also make you a little less self conscious. If you pretend we are not there, then the shots will look more natural. Of course this doesn’t apply when doing posed photographs with the photographer, or if the videographer asks for a particular shot. These are just a few tips to help your videographer and photographer get the best possible shots they can on this, your wedding day. We want you to be able to look back and enjoy your video and photographs and remember this day in the best possible way. It’s been awhile since our last blog, but thanks to all our Brides and Grooms for choosing us to document their Wedding Day, and for keeping us so busy. We met couples from all over the world….Australia, Scotland, England, Canada, Ukraine, France, and at least a dozen or so of our own states. This year we saw an increase in Weddings stepping out of the norm. 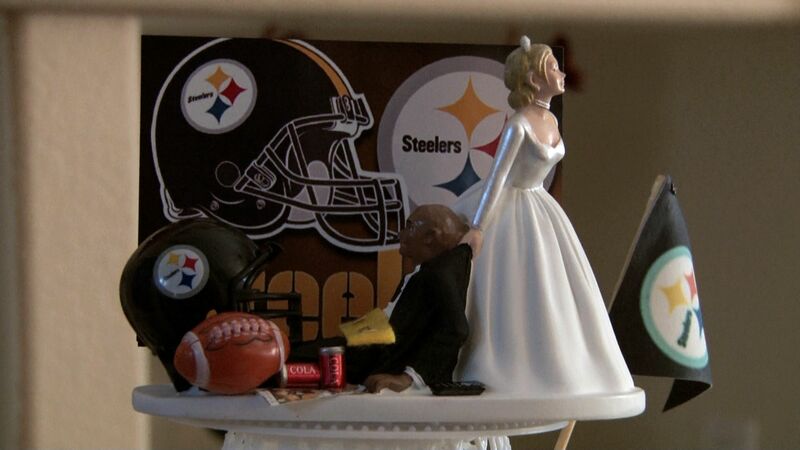 There were themed weddings: 1920’s, Pittsburgh Steelers, Old Vegas, Costumed, Elvis, Chinese, and Scottish. Along with the normal wedding venues, we also filmed weddings at The Grand Canyon, Valley of Fire, on the top of the High Roller, Mt Charleston, Nelson, and Red Rock Canyon. We even had a helicopter pick up the Bride and Groom at the end of the reception, instead of using the typical limo ride. So when planning your wedding day, don’t be afraid to be different. Surprise people, throw in those little touches that show personality and distinguishes your wedding day from the rest. 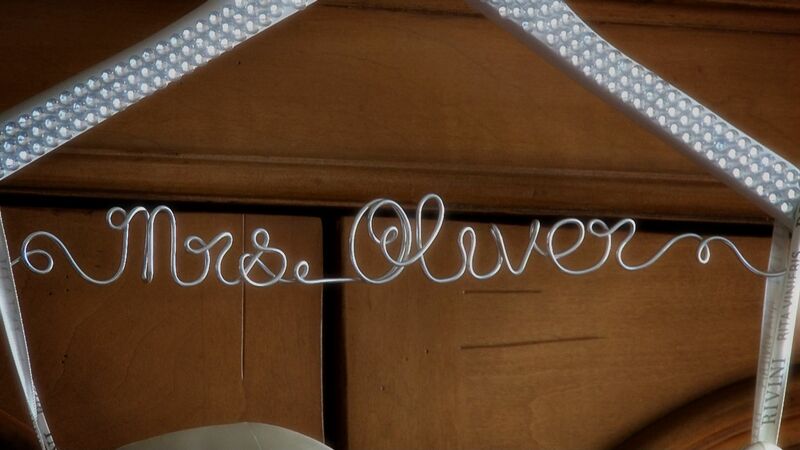 Personalizing your wedding day? 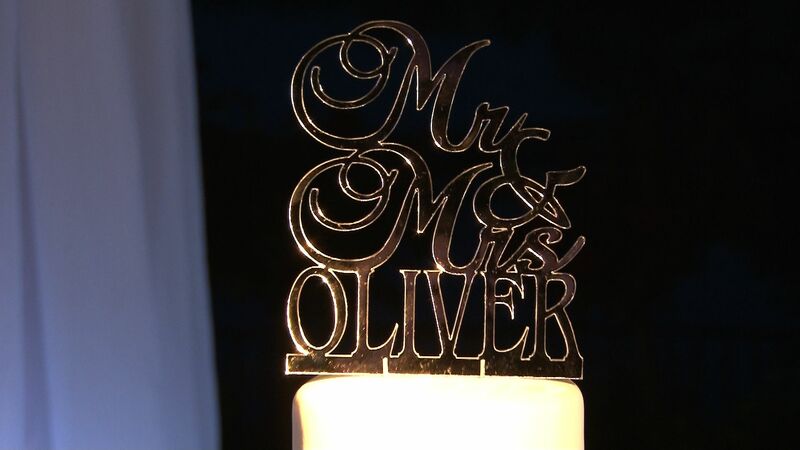 Here are some ideas from a recent wedding. 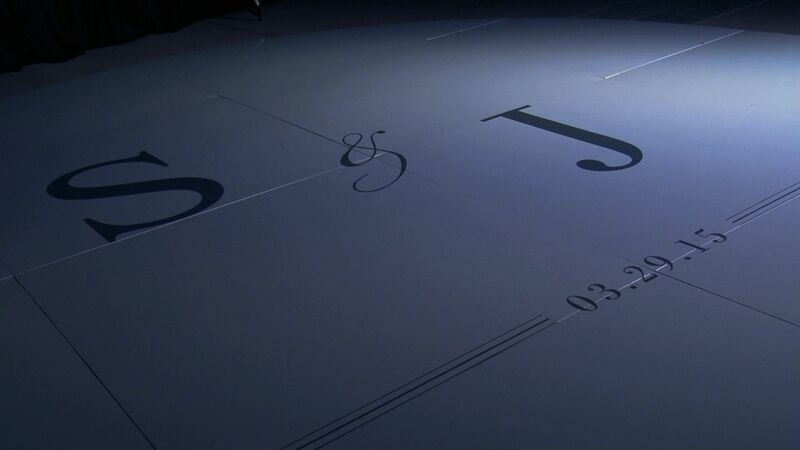 The photo above with their initials and wedding date was their dance floor made especially for their reception. Can You Recommend a Photographer? From time to time we are asked by couples during our consultations if we could recommend a photographer for their wedding day. There are a lot of very good photographers here in Las Vegas, in fact we have probably only worked with a small percentage of them. So all we can do is to recommend some of the photographers we have worked with. There are some we have worked with multiple times, and some just once. So how do we decide which ones to recommend? Most of them do great work. Also their pricing can vary greatly from photographer to photographer. Then there is the subject of their style of photography. So with different budgets and the varied tastes of each couple, we’ve decided to recommend on the merits of personality, professionalism, how they treat other vendors, and how they interact with guests, bridal party, family members, and the wedding couple. This is someone you will be spending most of your wedding day with, aside from the videographer, which is why we have chosen the above criteria. We aren’t able to list every photographer we have worked with, so we have listed those we feel are the standouts….the one’s we were impressed with by their work ethic, creativity, and overall personalities. It’s up to you to find the style you like, and the one’s who would fit into your budget, but we hope this may help narrowing down your choices easier. With so many talented photographers in town, this is by no means a complete list. These are just some of the photographers we have worked with personally and that we feel have stood out over the years. We are meeting new photographers all the time so we’re sure this list will continue to grow. If you have any questions or comments concerning any of those listed, drop us an email or leave a comment. Now that your wedding is over, you’ve watched your wedding video, thank you cards have been sent out, and with those endless hours of planning behind you,what do you do with your all those wedding photos? Five hundred,a thousand,fifteen hundred photos on your photo disc? You can share them digitally on social media, have prints made for a photo album…but what about that one amazing photo your photographer was able to capture of the two of you on your wedding day. You know the one. We came across a website we thought our currently booked Bride and Grooms, or future Bride and Grooms would be interested in, www.royalcanvas.com. We thought that their canvas prints were a perfect way to showcase that one special photograph in your home for everyone to see. Their prices look fair, and the quality very nice. We have no affiliation with this company, but we thought we would share this with everyone and anyone who might be looking for a product like this for their wedding photos. With today’s digital technology, and the quality of photographer’s these days, this is almost a no brainer. If anyone decides to try them out, we’d love to know if the quality of the photos are as advertised so we can pass the information on to our future Bride and Grooms. In a future blog we will recommend some photographers we have worked with over the years that we feel would be worth your consideration when looking for a wedding photographer.